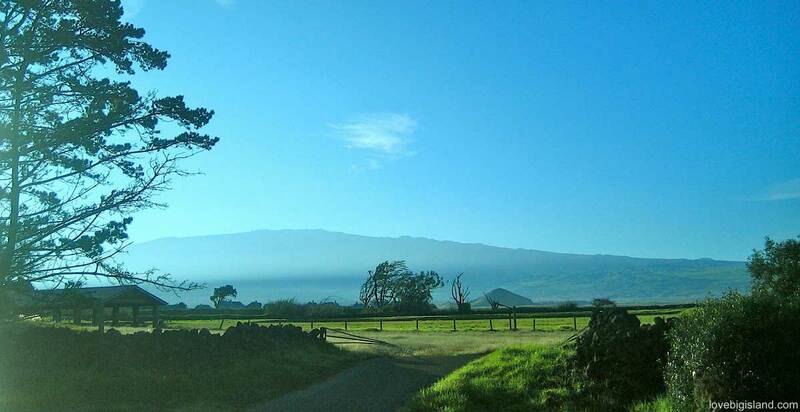 Waimea (or Kamuela) is primarily known for its cowboys, rodeo’s, and prime horseback-riding. There are however many more activities that can be enjoyed from Waimea. Nearby Waipi’o valley is one of the most scenic places on the Big Island and offers stunning vistas and many miles of hiking trails to among others a black sand beach. Of course, there are also several options in town that you should not miss when passing through. 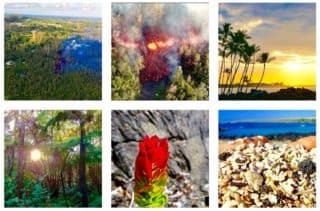 Activities and attraction that are specific to Waimea. Think of visiting the Parker Ranch, farmers markets or the local brewpub. If you are short on time you can also see our personal favorite activities for Waimea. If you like going local as well as good breakfasts, we suggest you go for breakfast at one of Waimea’s Saturday farmers markets for a good start of your day. At night, you can get your fill (and Mexican food) at the Big Island Brewhaus, which serves very tasty homemade beer and is another “must-taste” in Waimea. The Big Island Brewhaus in Waimea on the Big Island started selling their homemade beers on march 4th 2011. Its owner has won over 30 national and international awards before opening his own place. This place is definitely worth a visit. Read more about the Big Island Brewhaus. 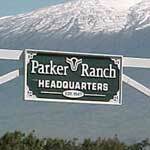 The Parker Ranch on the Big Island was once upon a time the largest ranch in the united states. Their history is interwoven with that of the American presence in Hawaii, and nowadays they also organize very interesting horseback riding excursions. Read more about the Parker Ranch in Waimea. Another old Ranch house you can visit is the Anna Ranch (which also hosts a weekly farmers market, see below). They host a “Historic ranch house tour” 4 days / week where you can learn about the history of ranching on Hawaii, which goes as far back as the days of King Kamehamea I. Go the the Anna Ranch website. There are several farmers markets in and near Waimea: The largest markets in Waimea are the Waimea Town market (open Saturday between 8 a.m. and 2 p.m.), the Waimea Homestead farmers market (open Saturday between 7 a.m. and noon) and since April 2012 the Waimea mid-week market at the Pukalani stables (open Wednesday between 11:00 a.m. and 5:00 p.m.). Read more about the Farmers markets in Waimea. Petroglyphs are images carved in stone, and offer a unique view into the history of Hawaii. Some petroglyphs date back to the 16th century – only one century after Columbus first landed on American soil! 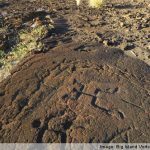 There are two petroglyph fields west of Waimea: the Waikoloa Petroglyps and the Puako Petroglyph field. A Luau show is a good way to experience local food and culture, but there are more (and cheaper) ways to do so. Close to Waimea you can find these shows at the resorts on the north Kona coast. Read about all your options to visit Luau and Hula shows. Waipi’o valley once upon a time was densely populated and home to old Hawaiian kings . Now however, Waipi’o valley is mostly lush wilderness interspersed with taro fields and a couple of dozens of inhabitants. 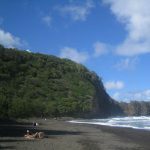 The valley is about one mile wide and six miles deep and boasts a gorgeous black sand beach. Read more about visiting Waipi’o valley. The spectacular views of the valley and the steep cliffs that end in the ocean are worth a trip on their own, but the real thing to do here is hiking to the black sand beach at the valley floor! There also are some pretty cool things to do close to Pololu valley to make your visit into a small road trip. Read more about visiting Pololu valley. 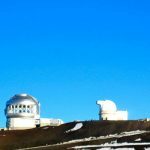 Waimea can be found at an elevation of nearly 3000 ft. in the north of the Big Island close to some great beaches on the Kohala coast and spectacular hikes in and around Waipi’o valley. The crisp, clean skies at night also make Waimea a great place to turn your eyes up for stargazing. 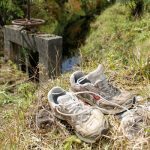 You can find below a list of all outdoor activities that are doable in and closely around Waimea. ATV tours are a fun way to explore the beautiful difficult to access places such as the wild forests and cliffs on the Kohala coast. Close to Waimea there are two tours that take take you on a 10+ mile drive through private lands with stops on the way at scenic points, historic sites, and waterfalls. Read more about the ATV Tours on the Big Island. The Beaches are one of the main attractions of the Big Island and are great for being lazy, snorkeling, surfing or what not! Some of the best beaches of the Big Island can be found at a short drive just west of Waimea. Read more about the Beaches around Waimea. The Big Island is known as the golf capital of the state, and in Waimea you are in close proximity of almost half of the golf courses on the Big Island. 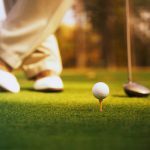 Read more about Golfing on the Big Island. Waimea and the surrounding hills and valleys are good for some of the most spectacular hiking on the island. Waipi’o valley and Pololu valley are prime picks, but by far not the only ones. Read more about Hiking in Waimea. Several ranches around Waimea offer the opportunity to explore their (often very large) range as part of a guided tour of the pastures with spectacular views of the coastline and peaks. It is also possible to make it of the range and explore other spectacular parts of the island such as for example Waipi’o valley. 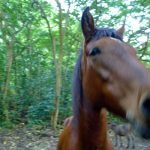 Learn more about horseback riding on the Big Island. 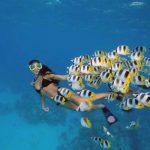 Scuba diving on Hawaii is a great way to get away from the crowds and enjoy the Big Island underwater paradise on your own. Waimea is close to west coast of the Big Island which is one of the best places for this kind of adventure. 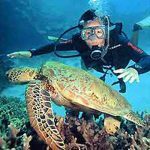 Read more about Big Island Scuba Diving. Just a short drive to the west you can find some great snorkeling spots and beaches. Warm, clear water, plenty of fish and coral reefs mixed in between the lava rocks make for a stunning snorkel. Read more about Snorkeling around Waimea. The steep cliffs of the northern valleys are home to impressive waterfalls. One of these is part of our list of the 5 most easily accessible, biggest and most popular waterfalls. Read more about waterfalls on the Big Island. Ziplining is an activity where you are attached with a harness to a rope that is strung between a high and a low point. 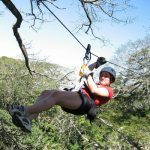 The ziplines are built high above scenic areas and features such ravines, jungles, meadows, and forests, and there are plenty of those around Waimea. Read more about Ziplining in Waimea.